Thousands of Indians have demonstrated in a number of cities against the government’s ban on two major currency notes. Earlier this month, the 500 and 1,000 rupee notes were banned overnight, causing chaos as people lined up at banks to exchange their old currency. India’s PM Narendra Modi has defended the decision saying it was an anti-corruption measure. However, opposition parties say the move was mishandled. Last week, they stalled parliament and demanded Narendra Modi should apologize for the decision. Correspondents say it is unclear how much public momentum a day of protests will generate as many Indians have supported the move, despite the inconvenience it has caused them. Most opposition parties said they would participate in the so-called “day of rage”. A number of important regional leaders – like the chief ministers of Bihar and Orissa – refused to back the protests, saying Narendra Modi’s attempts to curb corruption should be welcomed. Protest rallies have been held in the cities of Lucknow, Kolkata and Bangalore. The southern state of Kerala and the eastern state of Tripura, both ruled by the Communists, saw a near total shutdown. “We are protesting against the undeclared financial emergency imposed by the government and the hardships people across the country are facing because of this illegal decision,” Manish Tiwari of the Congress party told the AFP news agency. About 90% of India’s transactions are in cash and many people do not have a bank account. The two banned notes accounted for about 86% of the cash in circulation. In his first national address since the government banned the notes, Narendra Modi called on November 27 for people to embrace digital payments and use less cash. Last week, former PM Manmohan Singh said the government’s move to ban the much-used banknotes was “monumental mismanagement”, and that India’s gross domestic product would fall “by about 2%” because of the move. 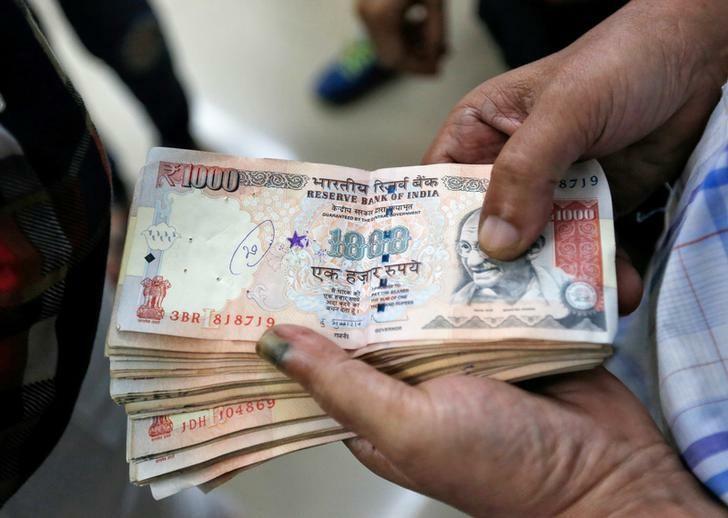 Narendra Modi announced that 500 and 1,000 rupee notes were no longer legal tender as part of a crackdown on corruption on November 8. There have been chaotic scenes in India ever since. People have spent hours queuing outside banks and cash machines which often run out of money. In some instances the police have had to be called in to manage queues of anxious customers trying to access legal tender.